Main interests and specialising in preventative and disease management, cancer care, skin disorders, allergies, weight management and non-invasive cosmetic applications.Chris graduated with a Medical Degree (Honours) from the University of Athens .He worked for a few years in Sydney hospitals before endevouring private practice.At present he is only practising Integrative and Cosmetic Medicine .He treats his patients with holistic natural approaches in conjunction with the latest technology.All cosmetic procedures are non invasive with minimal down time or discomfort . Michael’s own inner journey has taken him from his early studies in Morocco and an intense period of study under the mystic teacher, Ahmid Sufi, through two years as a swami with the highly respected Satyananda Ashram, to 10 years practice in Buddhist meditation. He also understudies the legendry rebirther, Ahrara Carisbrooke, establishing Australia`s first and foremost rebirthing centre, the Euroa Centre, in Balmain. He has practiced in many countries outside Australia, including the US , Russia, Hong Kong and New Zealand. Counsellor specialising in creating loving relationships. Angela has a unique way and her clients love it. She is very skillful (intuitive) to extract and work with the clients problems. As we all carry consciously or unconsciously a number of issues and we will not feel free until we address them. NLP and Matrix Therapies techniques have enabled people to double their income, change negative patterns in relationships, improve management and negotiation skills. NLP stands for Neuro Linguistic Programming. Neuro is the mind and the brain and how they interact with the body. Linguistics is language. NLP is the ultimate communication tool, making you an expert in both verbal and non-verbal language. Enhancing your ability to learn, train, manage and negotiate, making it an extraordinary tool for business, sales, education and therapy. Programming is the habits of thought you have that leads to habits of behaviour and how to change them rapidly, effectively and for profound and lasting results. Time Line Therapy™is a method that frees you from negative events, beliefs and emotions which happened in your past that limit your success and state of well-being. It allows you to get rid of negative patterns of sabotage and procrastination and gives you the motivation and energy to succeed. Angela is also a Dermal Therapist. Katherine is a qualified subconscious mind therapist and childbirth educator. Private subconscious healing enables our inner mind to resolve the underlying causes of stress depression, addictions, panic, phobia, etc. Katherine holds regular tuition at the centre on Hypnobirthing. 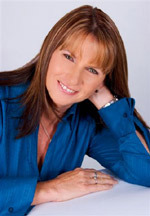 Leslee Hughes is one of the most senior members of Core Energetics in Australia. She is an experienced Body Psychotherapist (Somatic Psychotherapist) Leslee is a Member of the Psychotherapy & Counselling Federation of Australia and a Clinical member of the Counsellors and Psychotherapists Association. Leslee Hughes worked as New South Wales Coordinator C.E. for nearly 10 years and was instrumental in helping build this program in Sydney. She participated in the very first training here in Australia, and was privileged to have experienced the very best teachers in Core Energetics, starting with none other than the founder, John Pierrakos and continuing throughout her 5 years of training with the most senior teachers from all over the world whose depth of knowledge and experience was exceptional. As a passionate leader Leslee inspires others on their journey to wholeness. Core Energetics enables Leslee to read your body character revealing personality traits, challenges in life and health, strengths and weaknesses and barriers to the capacity to love and be loved. Although Leslee works primarily as a Core Energetics Body Psychotherapist, she can also support you with other modalities such as Family and Systemic Constellations and Trauma Resolution and assist you with embracing your individual soul’s journey. Leslee believes we are “spiritual beings having a human experience. We are here to learn and embrace that. This work is not only the way to emotional health but physical health as well. Most of us carry a lifetime of gunk that slows us down, making us often feel older than we are”. Leslee’s driving force, balance, deep compassion and understanding for others comes from having a committed relationship of 35 years with her husband Steve and their three beautiful daughters. The birth of Leslee’s granddaughter, Ailah, who is now 1, brought a new energy of the feminine into the family. She is a teacher, wise women and has a smile that warms the soul. It is heartwarming to watch your own daughter’s love for her child and Ailah has been the catalyst for even more love to radiate and pulsate throughout this family. Leslee works with individuals, couples and families and works out of this centre on Tuesdays, phone or skype sessions are also available. Rosie Piper has been working in the cosmetic industry for the last 9 years, working with leading cosmetic surgeons and refining her skills as a highly qualified and experienced injector of anti-wrinkle products and dermal fillers. Treatments provided include: anti-wrinkle, lip enhancement, softening fine and deep lines, facial plumping, facial contouring, relaxing ‘gummy’ smile. Cristina is a highly qualified Aesthetician. She has been in the industry for 38 years. After completing her Diploma in Beauty Therapy she worked in Beauty Salons to gain experience in all aspects of Beauty/Skin Therapy. Since 1978 she has been working with the only Dermatologist in Sydney who had a Beauty Therapist working within the medical field. The position involved electrolysis, sebaceous gland ablation therapy, diathermy to treat broken capillaries and acne treatments. It was then Cristina knew that this was an area she wanted to pursue. During the years she also completed a Certificate in Human Resource Management at Sydney Institute of technology. This gave her the skills to be able to run and operate a business, recruit and manage staff (which she did for 20 years). She also attained certificates in Intense Pulsed Light Therapy. Paramedical Aesthetics and Paramedical Camouflage. Cristina believes in remodeling the skin deep down in the dermis through pure medical grade active ingredients and taking a holistic approach through diet, excercise and positive thinking. Copyright © 2013 SIHCM Website Produced by Mumbo Web Design. All Rights Reserved.